​Golden BC is the home of Kicking Horse Mountain Resort and Vagabond. Vagabond is a "adult only" boutique inn just steps away from the gondola at Kicking Horse Mountain Resort, in the Heart of the Canadian Rockies. From the over-stuffed furniture, wood-burning river rock fireplace, one of a kind split-log douglas fir hand-made bar, wide plank flooring, to the floor to ceiling windows makes Vagabond a special and unique experience. This luxury accommodation at Kicking Horse Mountain Resort, features warmth and charm, reminiscent of the historical Canadian National Parks Lodges' but with the amenities and service of top quality boutique hotels. Vagabond is a non-smoking environment and does not allow pets nor guests under the age of 14. All 10 rooms are unique in one way or another. Beds are queen size with feather rest tops on all the mattresses with duvets. The four corner rooms have window boxes which are great to curl up on with a favourite book and a glass of wine and enjoy the mountain views. Six rooms have balconies which are awesome to sit on and watch the sunrise or sunset. Two of the balcony rooms have a loft which has an extra bed on the upper level. All our rooms are on the 3rd floor and there is no elevator. If you have trouble with stairs Vagabond is probably not the place for you. All rooms have en suite bathrooms featuring a shower tub enclosure and heated floors which are awesome during the ski season. Our backyard is an adventure playground. In the winter, skiing, snowboarding is fabulous at Kicking Horse Resort. Once the snow has gone, you have your pick of everything from whitewater rafting on the Kicking Horse river, canoeing and kayaking on the Columbia River, horseback riding and of course some of the most amazing hiking in the world. 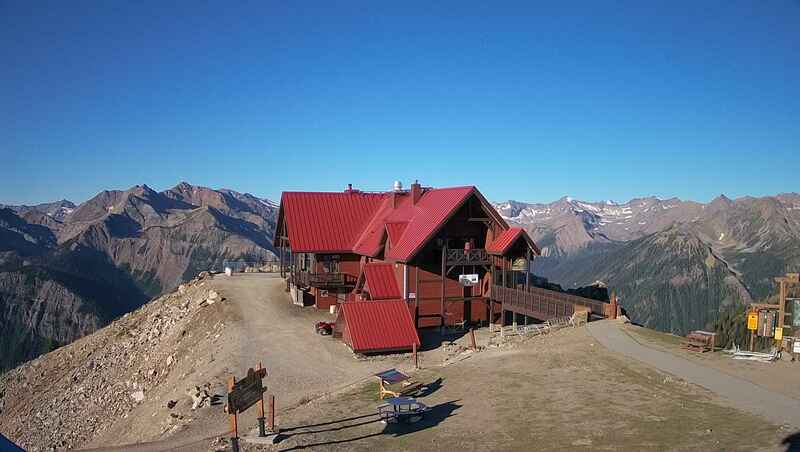 Vagabond is a short drive away from Yoho, Kootenay and Glacier National Parks. We have it all. Click here for more info on things to do in our area. A healthy breakfast is included in your stay at Vagabond. We pride ourselves in offering a healthy breakfast to our guests. Featured are a variety of options in a buffet setting. Lori's fruit scone recipe is her grandmothers and varies depending on the fresh fruit available. Ken takes pride is his fresh-baked sourdough bread. Eggs, pancakes(ok maybe not that healthy) home-made yogurt, fresh fruit, hot steel-cut oatmeal(winter) and bercher muesli along with home made granola, cold cereals and more are offered daily. . Ken will even prepare a latte or espresso featuring Earthcoffee with his vintage la Cimbali espresso maker if you ask nicely. Good story in Ski Magazine on Kicking Horse. Kicking Horse Resort is part of the Epic Pass for next ski season. Click here for details. Vagabond does not solicit TripAdvisor Reviews. All are done wholly at guests' initiative. The lower level of Vagabond features a designated boot room with a dryer to make sure you put your feet into a nice and dry boot in the morning when you head to the slopes along with a secure ski/snowboard room. During the summer months, mountain bikes can also be put inside and safe. An outdoor hot tub is available along with a sauna. The lower level also features a billiard table and a collection of all sorts of board games and puzzles. Children: Due to the nature of this lodge experience, this property is limited to guests over 14 years only. 14 and over will be charged Adult Rate.